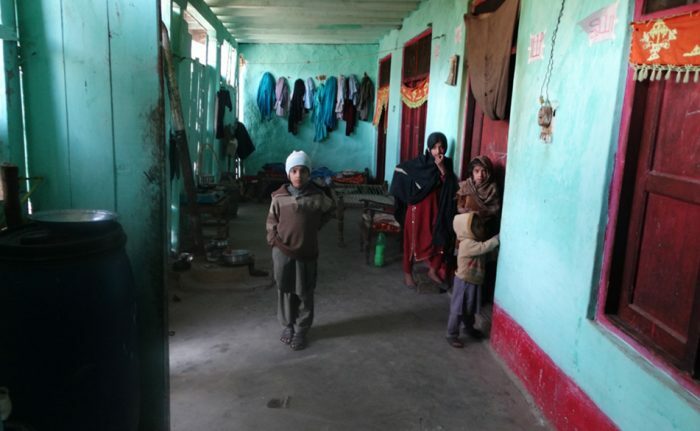 Gul Khan relied on daily wages and lived with his wife and four children in Karshat village in District Shangla of Khyber Pakhtoonkhowa (KPK) province in Pakistan. The family of six lived in a small mudhouse in the village. The house, being his only asset, and home to six members, had no latrine or washroom for the family to use. All its residents had to resort to rushing to the nearby forest or scanty bushes whenever nature would call. In rural villages such as Karshat, most inhabitants survive without latrines inside their homes and mostly depend on their own livestock to meet their daily nutritional needs. Amina Bibi and her children however did not own any livestock and solely depended on Gul Khan’s daily earning to buy food that they could survive on. Their daily meals consisted mostly of black tea and plain bread. To add on, Gul Khan’s house had no direct water supply either. Since he had once been in a dispute with his neighbors over the construction of a water pipeline that would connect to his house. The neighbor disagreed and it was decided that no water supply line would connect to his house. Amina Bibi and their children fetch water from a nearby spring located some three hundred yards away from their house. Amina would sometimes ask her neighbours for some water as well. Gul Khan and his family were living at the lowest poverty level and his children looked malnourished and underfed at first sight. In August of 2015, Amina and her children received devastating news. They were told Gul Khan had been reported missing in Karachi. Gul Khan’s male relatives went down to Karachi to verify this news and to enquire about his disappearance or probable whereabouts. However, to no avail. They had to return back in vain and could not stay there longer to find him as they had to return to their own jobs and families. Survival and meeting daily ends became a challenge for Amina Bibi and her children, specially the three going to school. One of Gul Khan’s brother, working in Saudi Arabia as a laborer, sends around PKR 2,500 to 3,000 (USD 17-25) monthly to support his brother’s family. The family also receives charity money support from a local mosque on periodical basis. 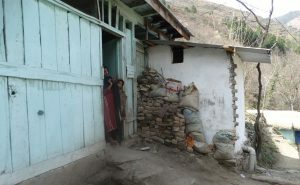 In August 2016, Gul Khan’s family was identified and selected as participants under the WASH project implemented by Community World Service Asia and supported by ECHO as part of a humanitarian response.. A latrine was constructed for the family in their house and they were also provided with hygiene kits and health hygiene sessions under the project. The hygiene kit included two plastic cans with a lid, one bodna, soaps and sanitation cloths. The cans helped the family carry and store drinking water safely as the containers were covered reducing the risks of water contamination. While the sessions helped the family learn how to use the latrine and adopt a thorough hand washing technique to maintain and sustain a clean environment. Awareness was built on the use of washing hands with soaps before having meals and after attending latrines which minimized the transfer of diseases in the food and water. As there was no male relative was available to assist the family during the construction of their latrine, Ibadullah, Chairman of Local Village Committee, stepped in to help. With Ibadullah’s support, the latrine was successfully established with the help of other village members and project team volunteers. Amina Bibi and her children expressed their highest gratitude to the project staff for fulfilling their most basic needs. She also reaffirmed that the recurrence of diarrhea had reduced among her children. Being chosen as a participant of this project has been a blessing for my children as I was aware of the danger my children were facing due to the unhygienic environment we lived in. After losing my husband, my children and their good health is very important to me. I will always continue to incorporate cleanliness and hygienic practices in our daily life. Houses made of mud walls supported with wooden beams and slanting roofs made of tiles. A lota or bodna is a small (usually spherical) water vessel of brass, copper or plastic used in parts of South Asia for personal hygiene.